Everyone loves taking a vacation to Pawleys Island. After all, with as hard as we all work in our everyday lives, everyone deserves to take a relaxing trip to this lowcountry paradise! But packing up all your belongings for your getaway can be a drag. You show up in your condo, unzip your suitcase only to find all your beach clothes are wrinkled beyond comprehension. Or, even worse, you forget an essential and now have to spend valuable vacation time shopping for things you already own. Here are some great tips to ensure that packing for your trip is a breeze and that your Pawleys Island vacation doesn't hit any snags when you arrive. Lists aren't just for grocery shopping or finding out who's naughty and nice. The first thing you should do before throwing a bunch of stuff in your luggage is make a list. Having your essentials down on paper and physically checking them off as you go is the foolproof way to make sure the first stop on your Pawleys Island vacation isn't at Target or Walmart. And once you finish packing, give your list one last review to make sure you've got it all. The last thing anyone wants when they're checking in for a flight is to find out that their carry-on is too large and must be checked. Limits on bag or suitcase dimensions are easily found on the websites of your airline and ensuring that your luggage isn't oversize will eliminate the potential of extra luggage fees. If you're still folding your clothes when packing, be prepared to get to know your condo's iron as you spend your trip fighting creases embedded into all your outfits. The way to go is rolling your clothes which results in less wrinkling. To step it up a notch and create more space in your suitcase or duffel bag, try enclosing your clothes in vacuum-sealed bags! This can greatly increase the amount of clothes you can fit in your bags which is a huge advantage if you're traveling by plane. Even if your clothes are recently washed, being packed into an enclosed small space for an extended amount of time can result in some not-so-great smelling shirts and pants. To alleviate this, try inserting a small bag of potpourri or a few dryer sheets between outfits to keep your clothes smelling like they just came out of the laundry! Travel-size bottles for toiletries like shampoo, conditioner and lotion are very convenient--until something mashes them in the wrong way and suddenly your clothes are covered in Pantene. By bagging up those bottles in Ziplock-type freezer bags (heavier duty equals safer) you'll make sure that an accident only results in an extra purchase rather than a day of laundry. For even greater security, use plastic wrap to seal the openings on your travel bottles then screw the lids shut. Pawleys Island has tons of great local shopping venues and you're sure to find the perfect souvenir to remember your trip. And beyond Pawleys Island, the rest of the Myrtle Beach area offers tons of great shopping venues. Make sure you have room to bring these back with you, especially if you're flying! With these great packing tips, your Pawleys Island vacation is sure to get off to a fantastic start! 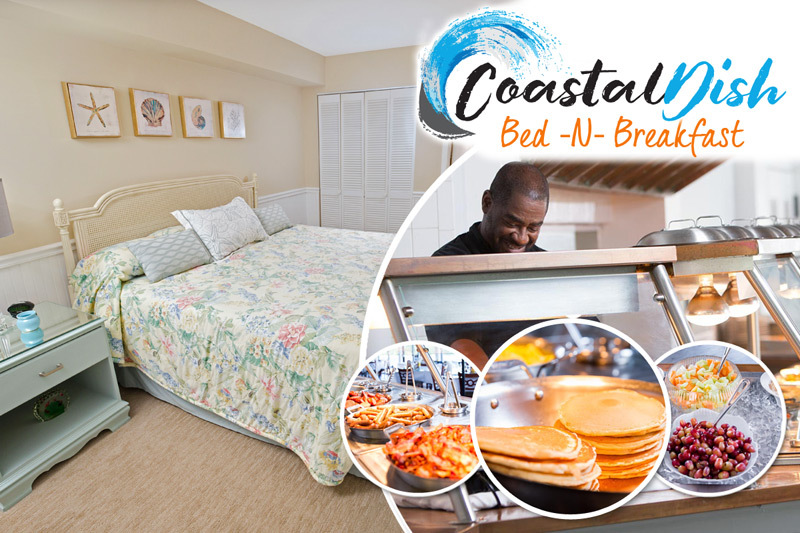 If you haven't planned your spring or summer trip to Pawleys Island, our amazing booking deals will ensure you get first-class accommodations at unbeatable rates. From modern two or three bedroom condos at True Blue Resort to deluxe oceanfront Pawleys Island beach houses at Litchfield Beach and Golf Resort, you're sure to find the perfect accommodations with the Litchfield Company!